P-36 Advanced Trainer... downloadable now! 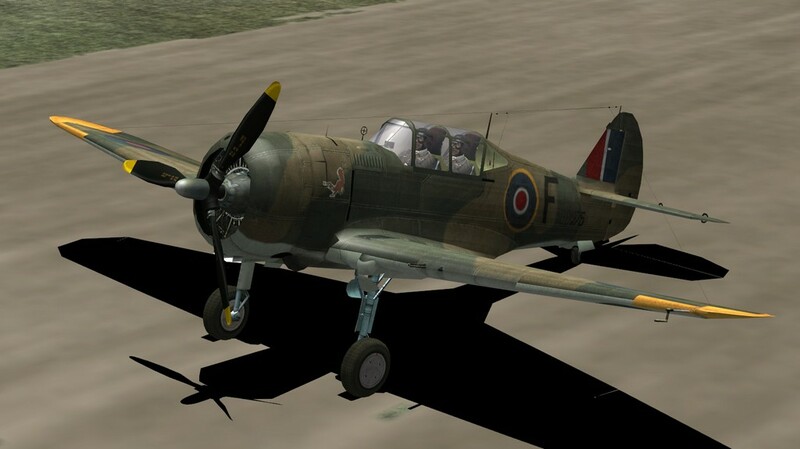 Re: P-36 Advanced Trainer... downloadable now! Just looking at this “P-36 Advanced Trainer” has me wondering if someone could do the same for one of the P-40 versions? That would not only give us a two seat P-40, but I believe this "P-40 trainer" would sort of remind me of a P-40N. If the two seat P-40 is possible … then would it be possible that the rear cockpit could be modified to look more “P-40Nish” and the original forward sliding canopy reinstalled … and we could have a near P-40N “look-alike”? This would be a nice addition as the P-40N has been missing from this sim from the start and it was the most produced version of the P-40. This mod requires DiffFM... which is not in the UP3.0 Release Candidate, but is being mooted for the final version and/or for a new 'SAS version' of the game based on UP3.0. Use the search function to find out more about the current status of DiffFM, there are several recent threads about it, which I haven't read myself since yesterday, so there may have been new developments over night. Also see Duffy's update one post above this one, thanks buddy. I dwnloaded normal 4.10 DiffFm and it works fine in UP 3.0.
can't download from mediafire again,is there a filefront link? New Right Arm Amputee, One armed flyer and Longboard surfer, I now swim and paddle in circles . done, please see first post. Works so far in 4.12. only the Gun Sound is missing. Thank you very much for the new link Gerax, very much appreciated. Thank you for the link, Mick, I really like this plane, huge thanks to Beowolff, Epervier and the rest of the team .